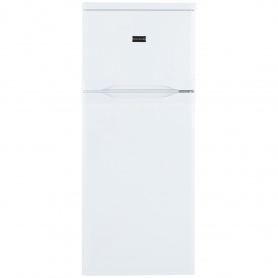 Space is often at a premium, so this compact fridge freezer from Frigidaire is ideal for smaller kitchens. 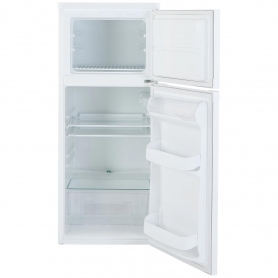 Being only 50cm wide and 121cm tall, the FRTF121W is perfect for slotting into smaller spaces, but still offers plenty of room to store your chilled and frozen produce. 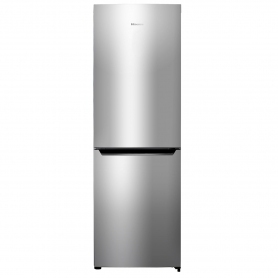 Inside, you’ll find up to 180 litres of storage space across the fridge and freezer. The freestanding design allows you to position the fridge freezer exactly where you want it, making the most of the space you have on offer. Frigidaire also designed this model with reversible door hinging, which allows the hinges to be attached on either the left or right side of the appliance. This means you will always be able to fully open the FRTF121W, even when it’s up against a wall. Inside the fridge are three glass shelves that can be arranged at different heights, really letting you take advantage of the 138 litre capacity. These shelves are also transparent, which helps you find everything you’re looking for. Handy door storage lets you organise your tall and regularly used items, and egg storage is available to keep everything safe and secure. An extra-large salad drawer allows you to really pack in your fresh produce – ideal if you like to eat healthily. 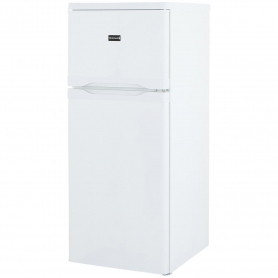 The freezer offers a generous 42 litre capacity and a four star rating. 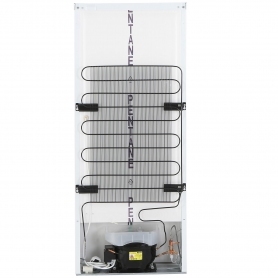 This gives you assurance that the FRTF121W will lock in nutrients and keep your food tasty and fresh. Frigidaire have even equipped the freezer with a 17 hour power failure feature, which keeps your produce frozen in the event of a power cut. An excellent A+ energy efficiency rating has been awarded to the appliance. Not only is the FRTF121W small in size, but it also has a small impact on your energy bills and the environment. 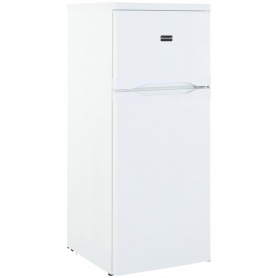 Exclusive to Euronics, this compact fridge freezer offers lots of benefits in a small package. Order yours today.